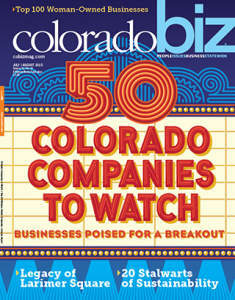 The Vail Valley is an amazing launching pad for our brand! 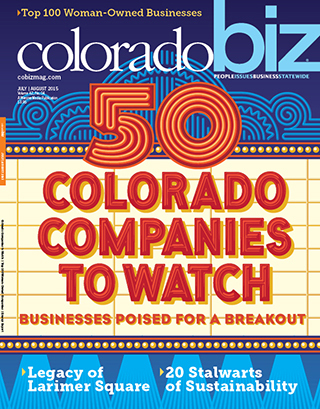 Crazy Mountain Brewing Company was ranked among Colorado Biz Magazine’s 50 Colorado Companies to Watch in 2015! Congratulations to the whole team! When we started in 2010, our theory was that visitors to the Valley would try our products when they were visiting, and would then would go back home and ask for our products at their local liquor stores and restaurants. We were surprised at how true this ended up being. After being open only a few months, we started getting calls from all over the country from people wanting to carry our beer. The Vail Valley has proven to be an amazing launching pad for our brand, and has really helped us accelerate our sales nationwide as well as internationally. We saw it is as a strategic location to build a national craft beer brand. This is due to the high number of visitors that come to town from across the country, try our beer here, and then look for our brand when they go back home. They associate their first experience with our products with the fun they had while they were vacationing in the Valley, so every time they drink our beer back home, they think of their fun time here in the Valley. The sheer number of tourists that come through here offers a wide of array of advantages, ranging from sheer sales volume to nationwide exposure. The local community, however, has probably been the most significant advantage for us up to this point. They have fiercely supported our company, and this support has allowed us to grow at a much faster rate than we would have had we not had the support of our unique, local community in the Valley. My advice would be to really do your homework on the dynamics of the Valley— mainly the seasonality of it, which can work both for you and against you, so you need to be prepared. One of the unique aspects of this Valley is how cohesive the local business community is. By tapping in to this local network, you can really bring value to your business and the local economy, so it really is vital to get involved in the local community.